If you’ve watched the news or been on the internet in the past two weeks you will be well aware of one thing: Pokémon Go. In case it slipped through your radar, it’s an app that uses your smartphone camera to look around for Pokémon, small (fictional) collectable creatures. The main point though is that it has taken the world by storm. The distraction it causes has been at the root of more than one mishap, a few fatal. Its explosion in popularity and capacity to distract have been unprecedented, in the same way as smartphones in recent years. This is just an extension of that; we’re seeing a particularly bad example of a more general problem – we’ve written before about apps for drivers. 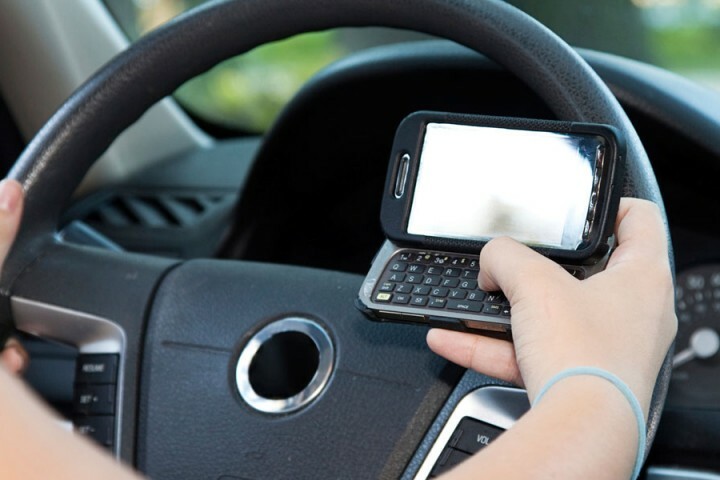 Apps and smartphones are undeniably useful, but they are simply not compatible with use while driving. Considering how tied we are to our phones, self-control may not be enough. Here are a few tips for driving safely in the smartphone era and a few pointers on other distractions. Turning your phone onto flight mode is a good start. That way you don’t have to turn it on and off constantly, and can still play music on it. However, searching for a song or a radio station while moving is inadvisable too. Flight mode will also save your battery. There are more sophisticated options: Driving Apps. It may sound like they contradict the above idea of safe driving, but there are exceptions. Apps like Lifesaver, Safely Go and many others are an intelligent answer to the dangers of smartphones and driving. They automatically lock communication functions on your phone while you are moving at driving speeds (determined using GPS). They’re superior to just switching off, because it doesn’t leave the dangerous choice to your impulses. These apps also allow things like navigation apps and music to continue and you can allow phone calls from a select group of “VIPs” – your children, for example – for emergencies. They can be set up to send automated responses to messages stating that you’re driving. It will also allow phone calls if a headset is connected. Regardless of whether you use them with an app or not, headsets or hands-free kits are a very good idea. There is some debate as to the safety of these kits, so taking phone calls should be avoided entirely while driving. But if you simply must take that very important call, at least use a hands-free kit. One of our earlier blogs shows the dangers of looking at a screen while driving, these kits at least stop that. Read it here. Kids- If you drive with kids often, make sure you take the time to make them understand the extreme importance of driving without distractions, and what can happen if you don’t. That way, they’ll understand that behaving in the car isn’t just a matter of discipline, but about safety. Timing- Being on time isn’t only polite, it’s a potential lifesaver. Driving somewhere in a rush isn’t safe, whether it’s because you’re speeding or just stressed and not paying attention. It’s just another incentive to be punctual. On-the-go eating- This is often caused by the previous point, so punctuality also leaves you with time to grab a snack. Either way, eating or drinking behind the wheel can be dangerous, especially with potentially messy food or hot drinks. Avoid it.